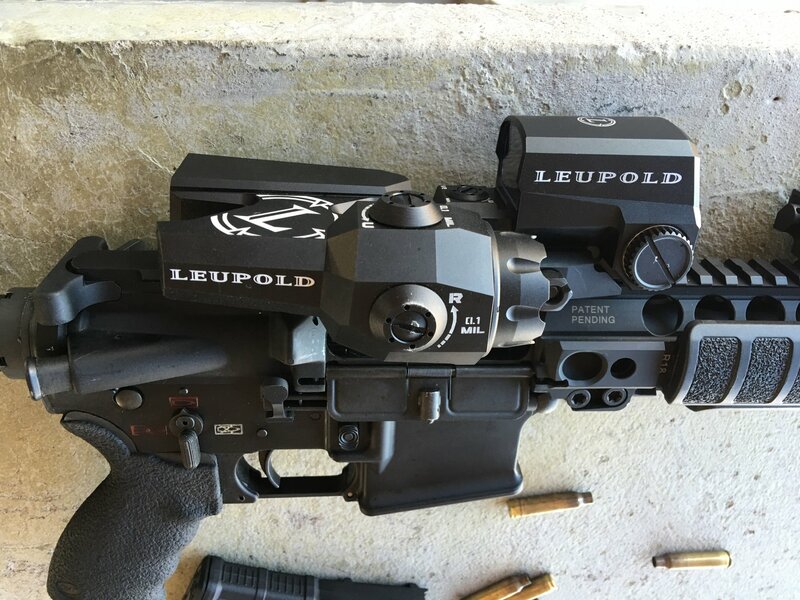 LMT Defense MARS-L (Modular Ambidextrous Rifle System-Light) M7LB2/M7LB2T Ambi (Ambidextrous) Tactical AR-15 Lower Receiver Build with Leupold D-EVO (Dual-Enhanced View Optic) 6x20mm/LCO (Leupold Carbine Optic) 1X/1-MOA-Dot Combo Sighting System! (Video!) | DefenseReview.com (DR): An online tactical technology and military defense technology magazine with particular focus on the latest and greatest tactical firearms news (tactical gun news), tactical gear news and tactical shooting news. Since we mentioned the LMT Defense MARS-L (Modular Ambidextrous Rifle System-Light) M7LB2/M7LB2T tactical AR (AR-15) ambi lower receiver in our previous article on the LMT Defense LM8PDW556 / LM8PDW300 PDW (formerly known as the ‘Compressor’), we might as well discuss it a little more and provide some photos and videos on it. The MARS-L features an ambi safety/selector switch, ambi mag (magazine) release button(s) and ambi bolt catch/release button. 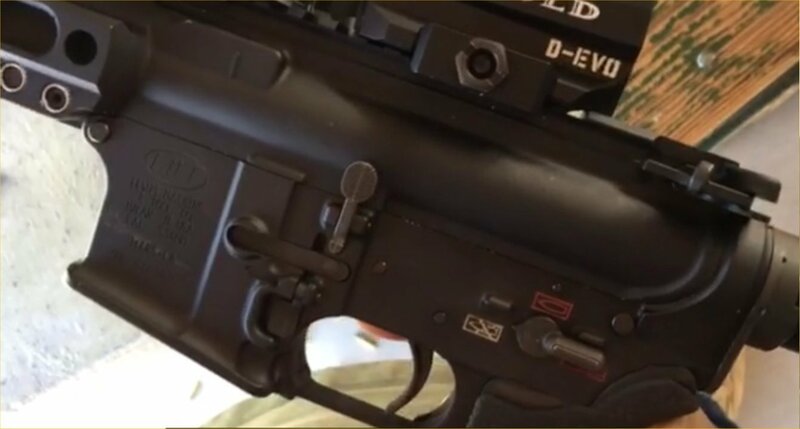 DefenseReview (DR) is a proponent of fully-ambidextrous controls on an AR lower receiver, and liked what we saw on the MARS-L. The ambi-BCG catch/release button/lever can really aid in clearing malfunctions/jams, making the procedure significantly faster and easier. The ambi controls on the MARS-L look well-designed, and LMT (Lewis Machine & Tool Company) certainly has a lot of experience manufacturing forged AR receivers. 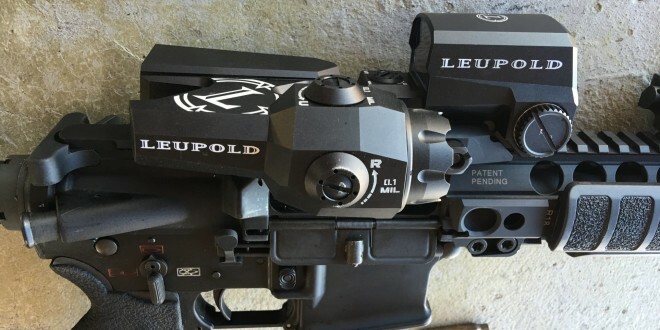 We should mention that the MARS-L carbine we shot sported a Leupold D-EVO (Dual-Enhanced View Optic) 6x20mm magnifier mated to a Leupold LCO (Leupold Carbine Optic) 1X/1-MOA-dot mini-red dot sight combat optic, which Ryan Smith of LMT described as “an amazing system”. DR agrees. Defense Review doesn’t yet own any ambi lowers (AR-15 lower receivers), but we’d very much like to use a MARS-L lower for a future 5.56mm NATO (5.56x45mm NATO)/.223 Rem./300 Blackout (300BLK) tactical AR carbine/SBR (Short Barreled Rifle) build.